Please note: Individual members or staff of OLC Institutional member libraries may register at the member rate. This two-day conference is designed to provide 10 hours of continuing education credit for the Ohio Treasurer’s Center for Public Investment Management (CPIM). Participants can choose to attend either day (Day One = 6, Day Two = 4 credits). You must report your own hours for EACH day to MyCPIM by 5:00 p.m. on April 25, 2019. This conference qualifies for continuing professional education (CPE) credits with the Ohio Accountancy Board. For every 50 Minutes, an individual earns one credit hour. Each session is worth 1.2 credits for a possible 12 credits for the full conference (Day One = 7.2 credits, Day Two = 4.8 credits). To be eligible, you must sign in at the beginning of the day and sign out when you leave at the end of the day. A certificate for hours earned will be available at the conclusion of the conference. 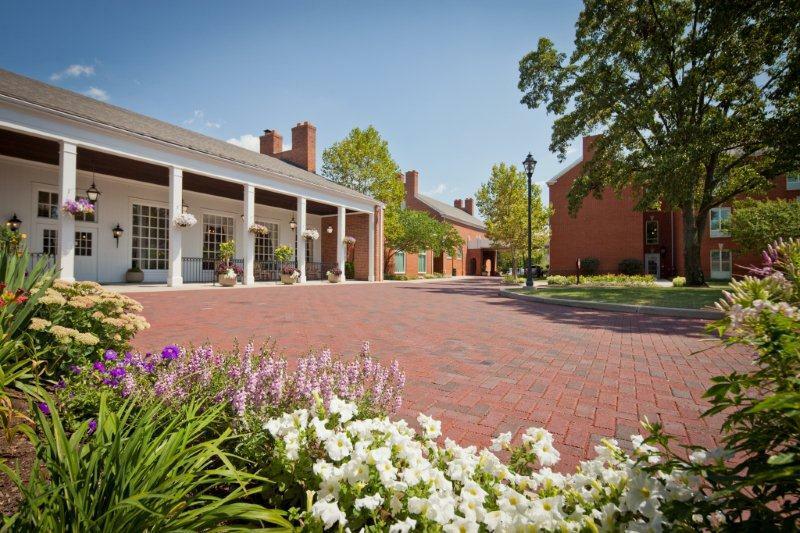 Hotel Accommodations: Reservations can be made at the Nationwide Hotel and Conference Center (PH: 614-880-4300). Please indicate that you are with the OLC’s CPIM Conference. The OLC room rate is $99/night (plus state and local taxes). Reservations must be made by March 22, 2019. Library Fiscal Officers and other staff members responsible for managing library finances. All handouts and materials provided by instructors, morning refreshments, buffet lunch, and afternoon refreshments each day. All attendees will receive a free electronic copy of the Ohio Public Library Accounting Handbook after the Conference. This presentation will describe the financing options available to Ohio Libraries, including a discussion of different sale options for Voted Bond Issues, Revenue Bonds, and Public Library Fund Notes. Additionally, we will examine the particulars of a financing including the selection of professionals, the rating agency process, and ultimately the bond sale process. Lastly, we take a look at the practical issues leading up to and after the completion of a borrowing. The presenter will discuss how to account for bond proceeds and payment of interest. The public banking dynamic is changing due to new technologies, data management, and an increasingly difficult-to-navigate interest rate environment. There is no doubt your bank is your most strategic financial partner, but there are ways to improve your current banking relationship(s). This interactive presentation will cover the top 10 ways you can strengthen your banking relationship with the goal of achieving increased efficiencies, lower costs, and higher interest earnings. Hear about the importance of internal controls and the separation of duties to prevent fraud and abuse within their organization by learning from weaknesses found in a case study that will be shared. Learn to identify the methods and programs used to audit for fraud. Presenters: Ryan K. Nelson, CFA, Managing Principal & Portfolio Manager, RedTree Investment Group and a representative from the Office of the Ohio Treasure of State. This session will provide an update on the current economic environment and how it is influencing interest rates. Current hot topics in the investment market will be discussed giving attendees up-to-date guidance on how to prudently invest funds. Discussion on key economic indicators and how they will influence the Federal Reserve’s decision on the direction of interest rates. Understanding of how to prepare the library’s investments for potential rate increases in 2019. Discussion on how to best utilize allowable investment options to maximize interest earnings while mitigating investment risks. Increase knowledge and awareness of economic indicators as well as how decisions made by the Federal Reserve influence interest rates. Gain a better understanding of how to prepare library’s investments if there is a continued increase in interest rates and what investment options are available to maximize earnings while minimizing risk. Ohio Ethics Law – Can I Do That? The Ohio Ethics Law course assists public employees and public officials in expanding their knowledge of the relationship between their public agencies and the Ethics Commission. It helps them understand the conflict of interest restrictions imposed upon public officials and employees and how to respond appropriately and legally when faced with such a conflict. Furthermore, the class outlines statutory limitations regarding gifts offered to those in public service from vendors, potential vendors, regulated communities, and interested parties. The session also focuses on helping attendees understand the definition of public contracts under the Ohio Ethics Law and outlines the ethics prohibitions related to public contracts. This includes information regarding illegal authorization of public contracts, selling goods and services to public agencies, and nepotism prohibitions. A better grasp of this information will increase government effectiveness in public servants’ ability to understand and comply with the Ethics Law while accommodation the needs of their public entities. This presentation will provide an update on legislation that may affect public libraries including the impact of the state’s new biennial budget. Gain a better understanding of how the Public Library Fund (PLF) has historically been funded and distributed to counties and how current state revenues have affected recent distributions. You will also learn more about the various resources that the OLC can provide to fiscal officers and directors. This presentation will cover fund balance classifications that comprise a hierarchy based primarily on the extent to which the public library is bound to honor constraints imposed on the use of its resources. There will also be a discussion of the definition of each type of governmental funds. This presentation will review GASB Statement No. 54 as it applies to public libraries. The focus of the session will be on fund balance classification and the revised governmental fund definitions as it relates to year end annual financial statement reporting. overview of IT Risk Control Specialist function conducting training and providing IT information to the OTARMA member bases. comprehensive Cyber Security educational content for managing cyber threats. Update and review of the changes to credit card policies for public libraries as a result of HB 312. The Fiscal Officer is at the forefront of the credit card usage and enforcement of policies. Guidance and templates will be provided to aide in the updating or creation of a credit card policy that is following the ORC. Gain a better understanding of the Fiscal Officer’s responsibilities with respect to OPERS reporting and applicable library policy. You will learn what comprises earnable salary, how to properly handle a retire/rehire, how to properly complete the annual Non-Contributing List, how to navigate the online Employer Contribution System, and how to meet the requirements for the PEDACKN Independent Contractor Forms. This session will use real-life scenarios and examples to assist you along the way.